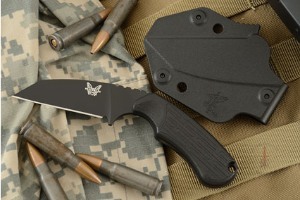 Sheath: Low-profile molded sheath with an ambidextrous clip designed for duty belts. Description: When bad days get worse, it’s nice to have back-up plans. 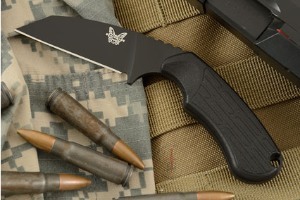 The Benchmade Azeria(125BK) is sure to be your new Plan B. 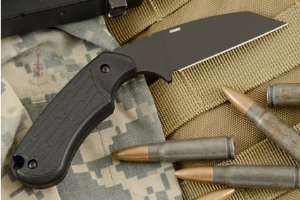 The 125BK Azeria features a wharncliffe style blade made from Bohler N680 with a black coated finish. Deep notched jimping, paired with a comfortable finger groove, provides added grip security and blade control during use. A distinguishing feature of this knife is the way the blade is fixed at a canted angle. This gives it a crescent shape rather than pointing straight out from the handle. The unique look offers both an ergonomic pistol grip and an excellent reverse grip. 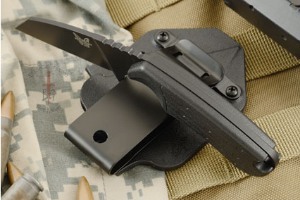 The handle is made from textured black grivory and a convenient lanyard hole to promote quick withdrawal. 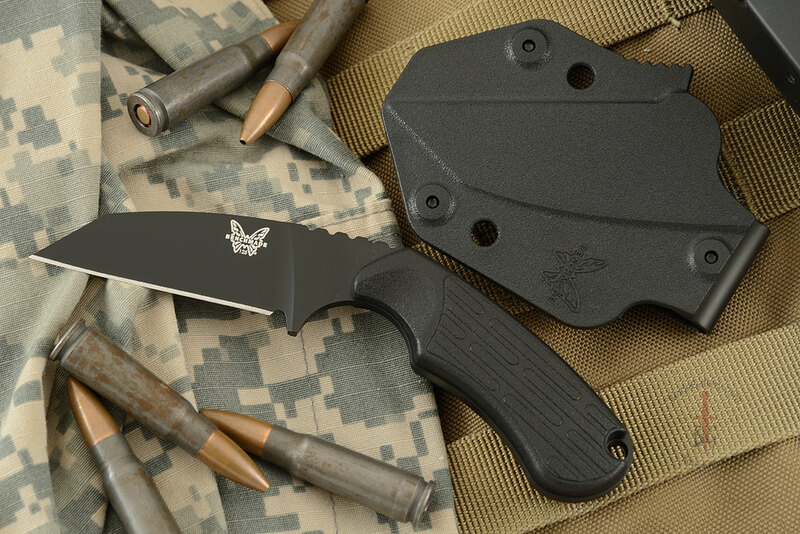 To keep the knife close at hand, the Azeria (125BK) includes a low-profile molded sheath with an ambidextrous clip designed for duty belts.